I'd like to suggest that everyone check out the keyboard shortcut features under Tools > Customize, Keyboard tab. Try for Writer and for Calc. Just select the Navigate item in the left hand side and scroll through all the possibilities. You don't need to change the keyboard shortcuts. Just check out all the possibilities. This is a repost, but an important one. It really helps. I got an excellent question today: where are the AutoFormats stored? They're not per document, like styles, which is nice. However, they are per user/per machine. In Windows, they're stored by default here. On Linux it should be in a similar location relative to where the user data is stored. In Windows, settings are often here. You can check, and change, the location of AutoCorrection settings and AutoTexts, plus other items under Tools > Options > OpenOffice.org > Paths. For each, to add or change paths, select the line and click Edit. You'll see this window. If there are two or more you can delete paths that aren't the default path. Click Add to add additional paths. Here's an overview from the online help about each category. Contains the settings of the AutoCorrect dialog box. 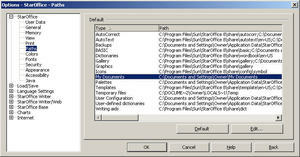 Your AutoTexts are stored in the specified folder. You can see this folder when you first call the Open or Save dialog. This folder stores your own AutoCorrect texts. This folder stores your own AutoText texts. New Gallery themes are stored in this folder. 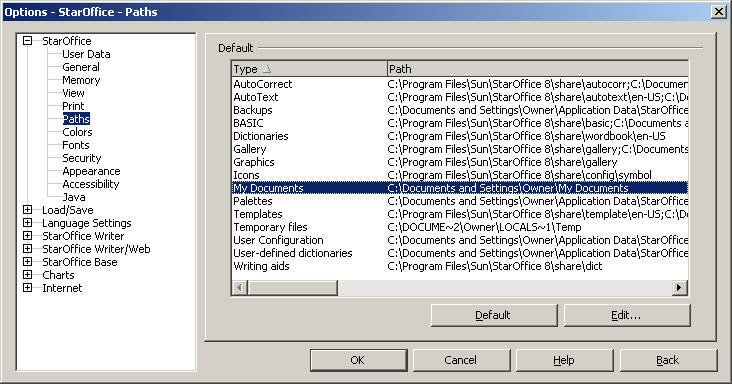 This folder is displayed when you first call the dialog for opening or saving a graphic object. Automatic backup copies of documents are stored here. In this folder you can store your own templates. This is where OpenOffice.org puts its temporary files. 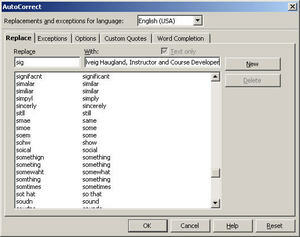 When you create AutoTexts under Edit > AutoText, you can add a category. Click Category, enter the name of the category, and select the location to store the file for this category from the dropdown list. 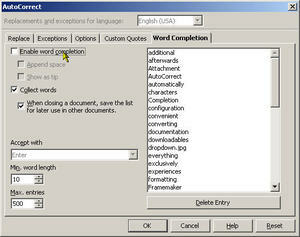 The list comes from the paths set for AutoTexts under Tools > Options. Click the graphic to see it bigger. If you want to put this category in a different location, you can do it on the fly, kind of. Cancel out to the main AutoText window and click Path. Then click Add to add a new path. Now when you create a new AutoText category, you can select the new path from the dropdown list. Go to that directory and you'll see a file with the category as its file name. You can copy this file to other computers, and point users to where the file is. 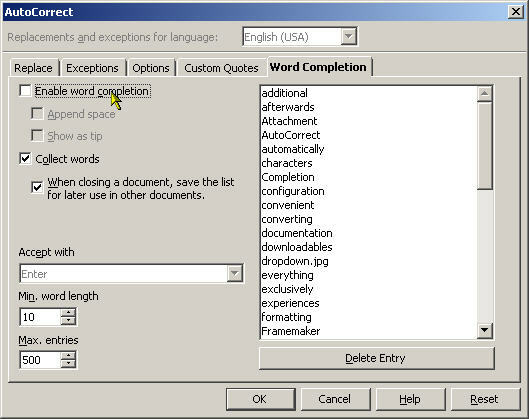 Look for the wordbook directory in the location under Documents and Settings\user\Application Data\OpenOffice\user (or the user directory on that computer) for customizations made to spellcheck. Look for the plugins directory in the location under Documents and Settings\user\Application Data\OpenOffice\user (or the user directory on that computer). This folder contains the plugins that you installed in OpenOffice.org. OpenOffice.org recognizes the plug-ins installed in Netscape, Mozilla, or the Microsoft Internet Explorer, so you normally do not need to install plug-ins in this folder. Please leave a comment if there's a configuration location you'd like to know about or something you've picked up that would be useful. Thanks!